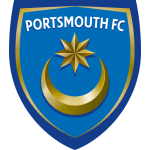 Portsmouth vs Scunthorpe predictions for Saturday’s League One fixture at Fratton Park. Having bounced backed in the week, Pompey will be looking for another much-needed victory. Continue reading below for all our free tips and predictions. It’s looking more and more likely that Portsmouth’s only viable route to promotion will be through the play-offs, though Kenny Jackett’s men did make up some ground on the top three when beating Walsall on Tuesday night. They’ll need the current front-runners to falter, but if Portsmouth can continue winning, then automatic promotion is not out of the question. This home match against a relatively weak Scunthorpe side represents a good opportunity for Pompey to gain another three points. Pompey did get the better of Walsall on Tuesday night and they were clearly the better side, which is why they went 3-0 up, though their defensive antics were once again questionable. Against Charlton last weekend, Jackett’s men struggled to keep things tight, and as they gave away 1.72 expected goals at Bescot Stadium on Tuesday night, they looked shaky once more. Fortunately, they had the edge in terms of class, while they also posted a pleasing 2.12 expected goals for. Nevertheless, they need to tighten up at the back. Even at home of late, Pompey have tended to give something away; they’ve kept just one clean sheet in their last eight on home soil, while they’ve recently shipped expected-goals figures of 1.28, 1.22 and 2.11. Going forward, they’ve certainly been impressive at home of late; they clocked an outrageous 5.18 when battering Bradford last time out, while they also did better than most teams against Barnsley when clocking a very respectable 1.63. Moreover, the fact that they’re averaging 2.17 expected goals for at home this season shows that they’re no slouches in the final third, while their average expected goal difference of +1.13 tells us that they’ve generally created lots more than they’ve given away. Portsmouth are not the only team to come into this fixture off the back of a pleasing win, as Scunthorpe will arrive at Fratton Park with their tails up having beaten Southend by four goals to one on Tuesday night. On that occasion, they looked good going forward, as they posted a very decent 2.5 expected goals for, while they didn’t give much away either. Given the fact that Pompey haven’t been too clever at the back of late, a repeat performance would likely see Scunny compete offensively at the very least. However, Scunthorpe have struggled on their travels of late. The Iron have lost each of their last three away from home, while they scored in just one of those three. Add in the fact that they’ve recently clocked expected-goals for figures of 0.89, 0.47 and 0.55 on the road and it’s easy to see the visitors faltering. Furthermore, the fact that they’ve surrendered an average of 1.58 expected goals on the road doesn’t bode well. All things considered, despite their pleasing effort on home soil during the week, Scunthorpe are easy to oppose ahead of Saturday’s game. Given their recent lack of forward power and general defensive problems on the road, coupled with the fact that Pompey are a very astute attacking side at home, the bet that stands out is ‘Portsmouth -1 Handicap’. In their last five home League One matches, Portsmouth have averaged 2.44 expected goals for. Scunthorpe have averaged just 0.51 expected goals in their last five on the road in League One. 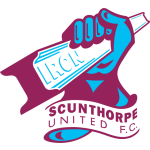 Scunthorpe have failed to score in 50% of their last ten matches on the road in League One. Only Plymouth have accumulated less shots on target away from home in League One than Scunthorpe this season.